Recognised as being friendly and approachable. Stephen is a diligent, positive and persuasive advocate who firmly believes in the value of preparation to success. Stephen has built up a wealth of experiencein Personal injury matters (EL/PL/RTA) in particular in the areas of causation disputes, LVIand fraud allegations together with fundamental dishonesty. Stephen is particularly adept in the matters of costs (including technical arguments relating to early exit from the Rapid Claims portal). Stephen is regularly instructed to attend trials, Disposal Hearings and Stage 3 Quantum Hearings. Stephen has appeared for Claimants in interim hearings in the County Court and High Court in cases involving catastrophic and life-changing injuries. Routinely appears for Claimants and Defendants on the Small Claims and Fast-Tracks in credit hire claims. Has experience running arguments relating to need, period, enforceability and rate of hire. Stephen has played cricket to representative level as a junior before following his passion and studying sports science to degree level and subsequently completing an MA in Sport and the Law. As a consequence, Stephen understands the often unique legal needs of the sporting community ranging from elite athletes, amateur participants to governing bodies alike. Stephen also sits as a chairman on disciplinary tribunals for national sports governing bodies. 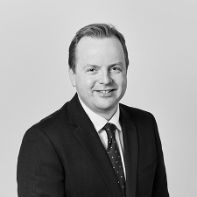 Follow our blog for further information on the latest news and cases from Stephen Elphick, and all other members of our team.